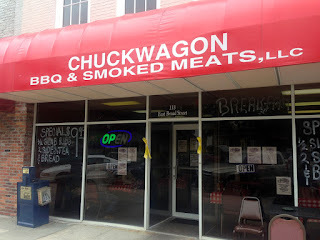 Chuckwagon is located on the square in Eufaula at 133 East Broad St, Eufaula AL 36037. You'll see it from the brightly colored awning. 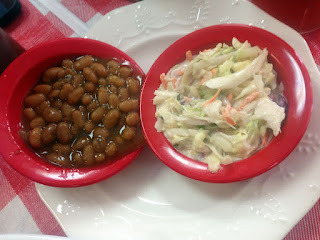 We stopped on our way home from a week-long vacation in Santa Rosa, FL where we mostly had been eating food brought and prepared by us at the rental home we inhabited while there. 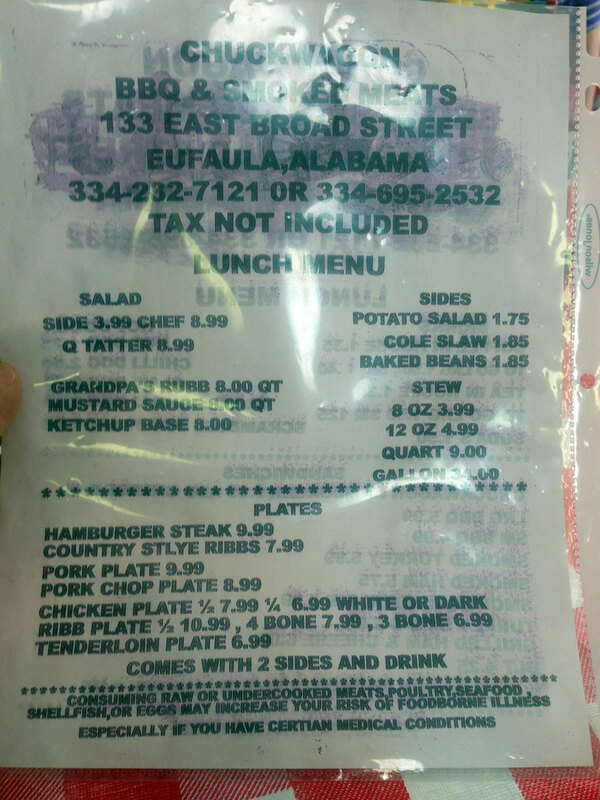 If you've never been to Eufaula, it's worth making the detour to see this very scenic town, with a boulevard leading into downtown from the north, loaded with beautiful antebellum mansions. The downtown area features old-fashioned brick storefronts you'll recall from Mayberry RFD or The Andy Griffith Show - the people who work there are very nice and super polite. 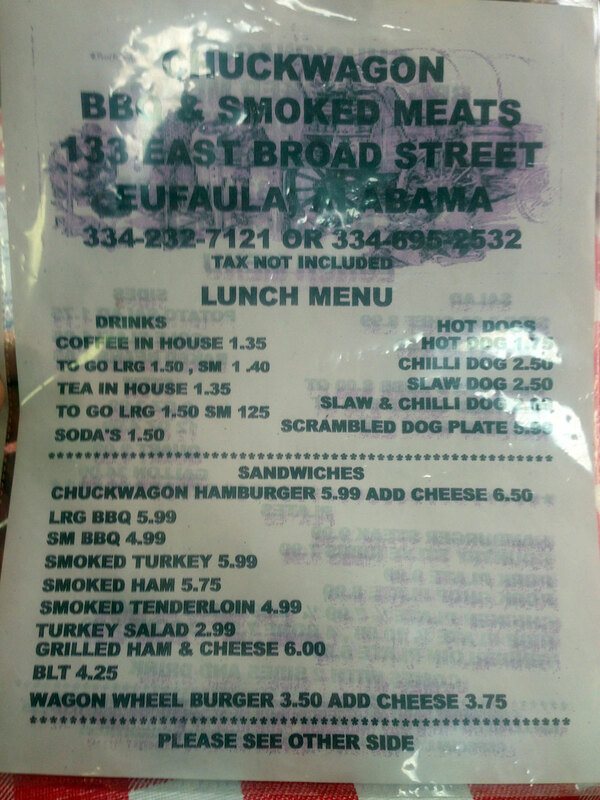 I notice that on Yelp there are at least 4 BBQ places within about a half-mile radius in Eufaula, AL. 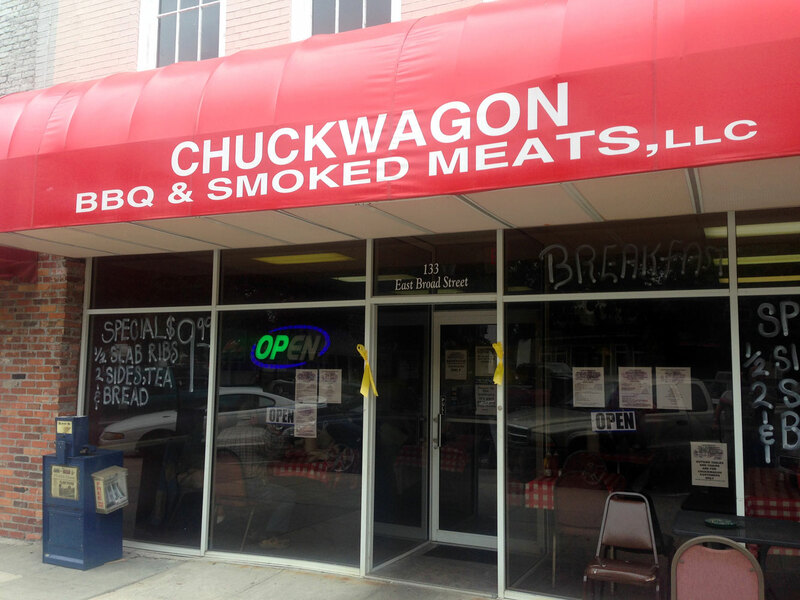 Having been in the restaurant business, I know how hard it is to get a new restaurant up and running - from the small crowd in the Chuckwagon (it was about half-full) I'd say that they've got a good running-start. The restaurant itself seats about 10 tables of various sizes. 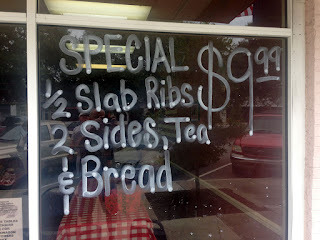 The staff (a single waitress who also manned the register plus at least one other in the kitchen) was very polite - she pointed out the special for the day (it was also written on the windows and on a fold-out sign board out-front). I opted for said special, a half-slab of "country style" pork ribs with two sides (slaw and beans) plus bread and tea for $9.99. My companions each had the small pulled-pork sandwich. 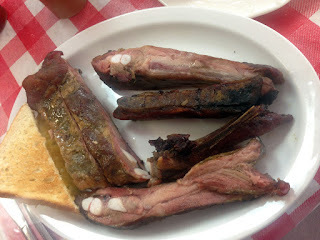 For my plate, the ribs were indeed "country style" - these are similar to the ribs that are served at Fat Matt's in Atlanta - the full bone with the gristly bits at the end. They were quite good and well smoked. I'd rate these at least 4 stars. I wasn't too impressed by the sides (the beans tasted like Bush's Best baked beans, right from the can and the slaw was a bit funky - i only tasted both). Still, there was plenty with both the ribs and the Texas toast to get me full. 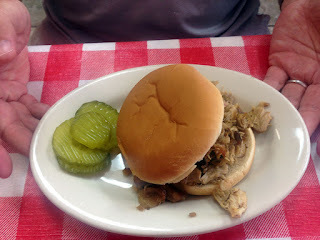 The sandwiches were good if slightly dry, served on buns with tart pickles. 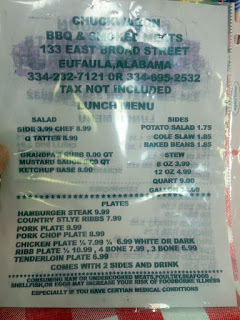 There were two sauces, a sweet ketchup-based sauce and a honey mustard which was almost all honey. The iced tea I thought very good and the service was excellent.